Bahrain, Canada, Estonia, Oman, Turkey and Uzbekistan are now more connected with global investment markets. 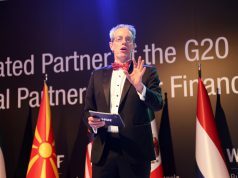 An affiliated partner of the G20 Global Partnership for Financial Inclusion (GPFI), the World Business Angels Investment Forum (WBAF) announces new Senators and High Commissioners of the Grand Assembly. Bahrain, Canada, Estonia, Oman, Turkey and Uzbekistan are now more connected with global investment markets. 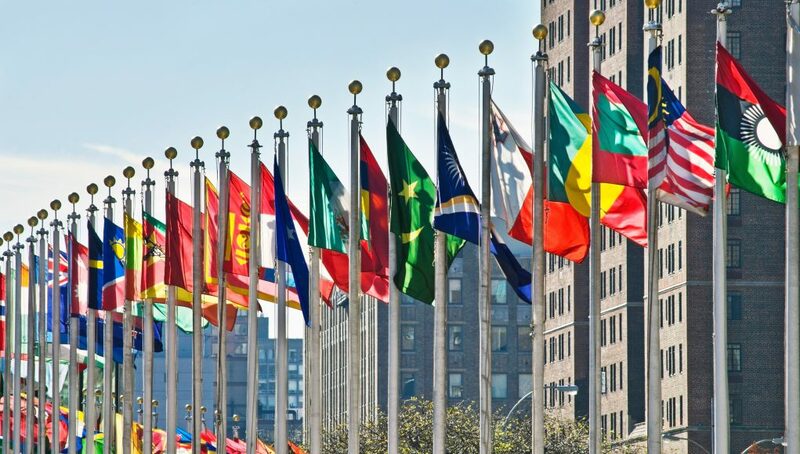 Bahrain, Canada, Estonia, Oman, Turkey and Uzbekistan have joined the largest global angels forum of the world and will now be able to connect with the global angels market, which will open up splendid opportunities for the country. 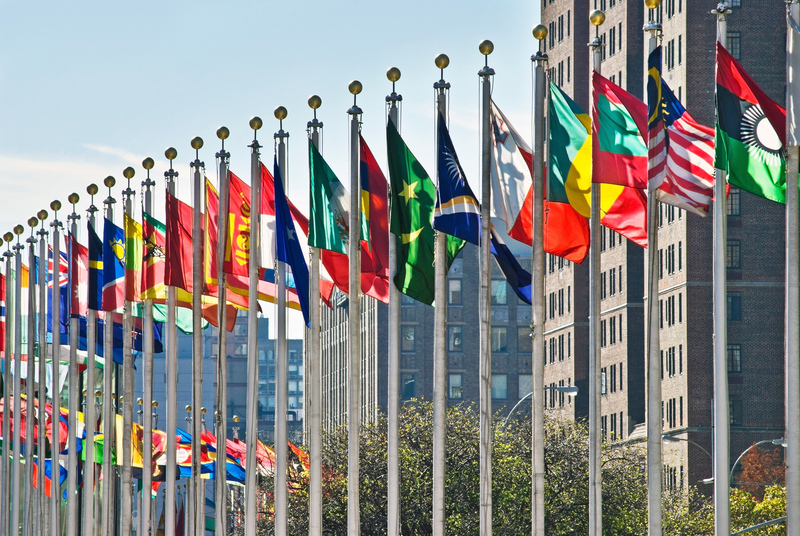 Now local Bahrain, Canada, Estonia, Oman, Turkey and Uzbekistan angel investors, academics, woman leaders and aspiring entrepreneurs will have the opportunity to connect with global leaders in the same field. 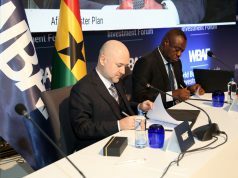 Sebahat Isik, Managing Director and Partner, YSM Consultancy has been appointed as Senator at the Grand Assembly of the World Business Angels Investment Forum. 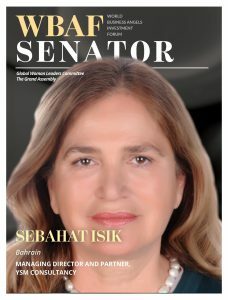 Senator Isik to represent Bahrain in the Global Woman Leaders Committee of the Grand Assembly. 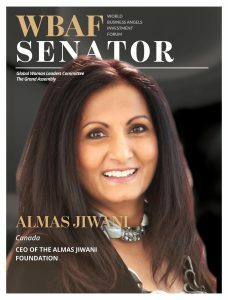 Almas Jiwani,, Chairperson of the Almas Jiwani Foundation has been appointed as Senator at the Grand Assembly of the World Business Angels Investment Forum. Senator Jiwani to represent Canada in the Global Woman Leaders Committee of the Grand Assembly. As announced by the World Business Angels Investment Forum, Signe Viimsalu, former CEO of the Estonian Business Angel Network EstBAN, has been appointed WBAF High Commissioner for Estonia. 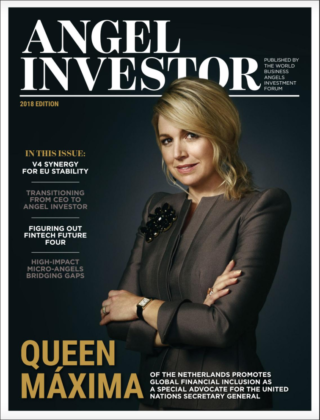 High Commissioner Viimsalu to represent Estonia in the Global Woman Leaders Committee at the Grand Assembly of the World Business Angels Investment Forum. 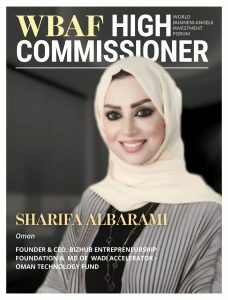 Sharifa AlBarami, Founder & CEO, BizHub Entrepreneurship Foundation & MD of Wadi Accelerator – Oman Technology Fund has been appointed WBAF High Commissioner for Oman. High Commissioner AnBarami to represent Oman in the Innovation & Technology Committee at the Grand Assembly of the World Business Angels Investment Forum. 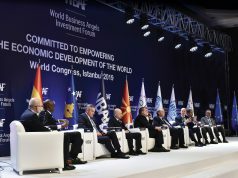 Cem Ener, a PhD candidate at Yildiz Technical University (his doctoral studies focus on angel investing) has been appointed as Senator at the Grand Assembly of the World Business Angels Investment Forum. Senator Ener to represent Turkey in the Academic Committee of the Grand Assembly. 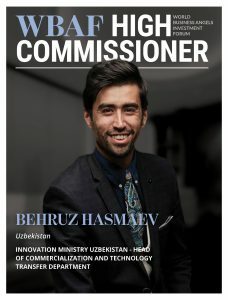 Behruz Hasmaev, Innovation Ministry Uzbekistan – Head of Commercialization and Technology Transfer Department, has been appointed WBAF High Commissioner for Uzbekistan.